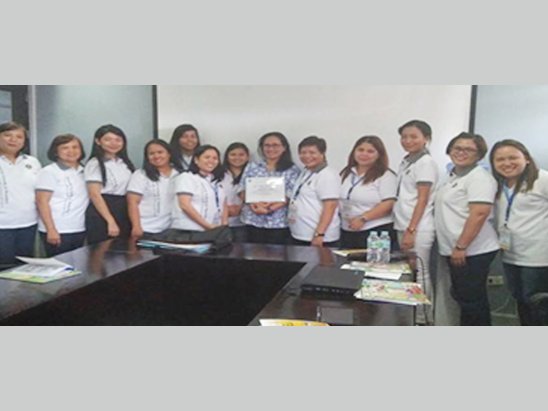 Communication Foundation for Asia’s Publications Head, Ms. Tinay Nolasco-Mercurio gave a prelection with the title “Teaching the Catholic Faith to Early Childhood Education (ECE) and Special Education (SpEd) Pupils” to the Diocese of Cubao Educational System (DOCES) , during their Fifth General Assembly. The theme of the said assembly was “Parishes and DOCES Schools: Communities of Faith, Learning and Service” and the event aimed to contribute towards elevating the bar of education in Catholic Schools. It was held last May 12, 2017 at the Obispado de Cubao Building. In her talk, Ms.Tinay emphasized the meaning of faith. She told the participants that the instructor must have strong faith because religious teachers can’t give what they do not have. She also advised them that teachers ought to allow the young learners to experience what faith is. Or realize that they have already experienced it. After becoming aware of what faith means, Ms. Tinay said, the young learners must be exposed or be aware of “miracles” or the workings of God in the daily and ordinary events of life and be thankful to God for them. Lastly she added that if the children accept and see these miracles, the religion teachers must help them realize that they too ought to give and love unconditionally like God. In a nutshell, Ms. Tinay said that the young learners need to develop their faith in order for them to see the daily miracles of life as God’s gifts and this in turn help them become generous and loving persons.